Exciting, massive, and massively exciting new museums are gearing up for big things in the near year. 2017 was a good year for Shanghai's art scene, and in particular on the museums front which witnessed incredible growth in a short period of time. According to a report from Sina, the number of museums in Shanghai increased 130% in the past five years, from 34 to 78. With the release of the "Shanghai 2035 Blueprint" by the Shanghai government last week, the sector is poised to experience even more rapid expansion as Shanghai gears up to be an "excellent global city" in the coming decades. 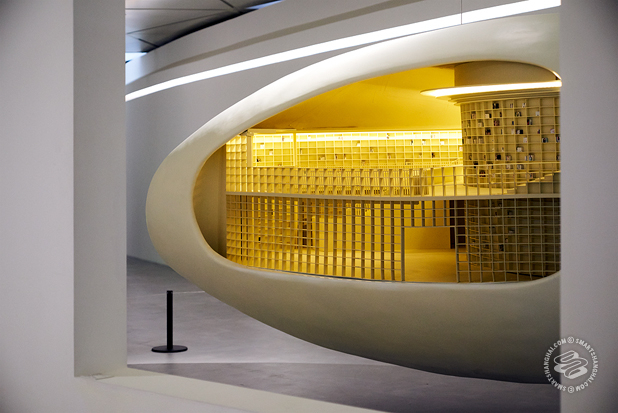 Aside from the ever-vaunting ambitions localized in the West Bund area — Yuz Museum, Long Museum, and the ready-to-open Oil Tank Art Center, just to name a few — large-scale art museums are opening up on both western and eastern sides of the city. 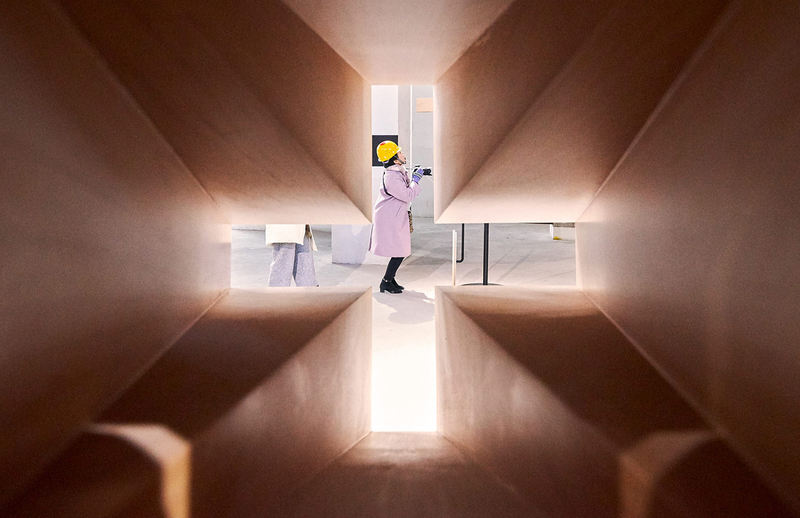 Notably, Fosun Foundation and Modern Art Museum just celebrated their first anniversaries last year and are already playing prominent roles among the new museums in Shanghai. At the end of 2017, three more places opened to the public and they sure look promising. Here's a peak inside these new three. 2017 was also a great year for malls in Shanghai and said commercial entities making overtures to the arts world as part of their larger business strategies. (Hello, K11 Art Mall.) 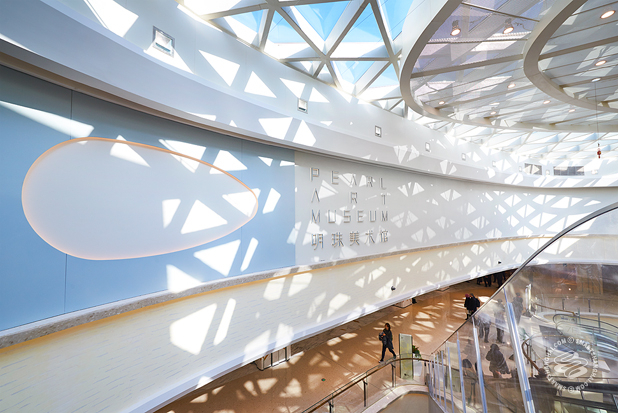 Pearl Art Museum is on the eighth floor of a gigantic shopping mall, Aegean Place, built above Line 10; across the street is Gubei's landmark MixC mall. 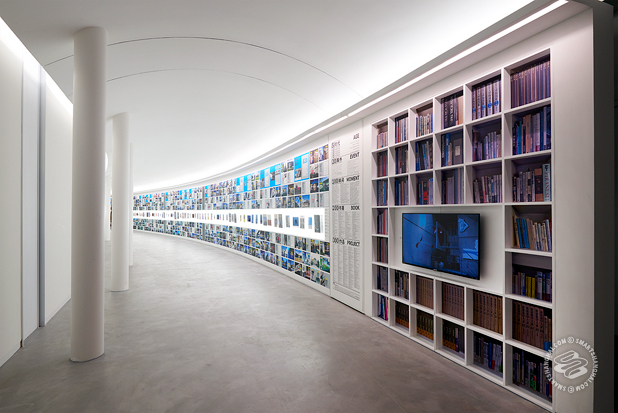 The mastermind behind Pearl Art Museum is the great grass-roots architect Tadao Ando and the Museum has this Japanese master's lifelong achievements on display until May 20 — a pretty comprehensive tribute consisting of architectural models, manuscripts, design works, and videos. The concepts of "egg" and "light" are the two inspirations Ando applied through the whole project. 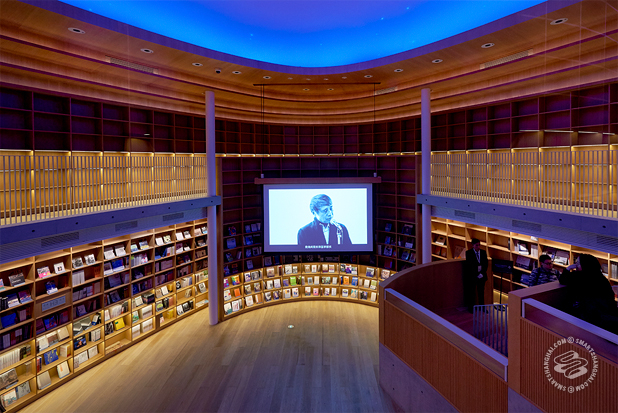 It is kind of like a trapezoidal space with an elliptic bookstore as its core, which brings us to another key point about Pearl Art: It's also the location of arguably the most gorgeous Xinhua Bookstore in Shanghai, also designed by Ando. As a whole, Pearl Art offers an intricate layout making up the shortage of space; it's covered in white, with trapped light creating a serene and almost soothing atmosphere. 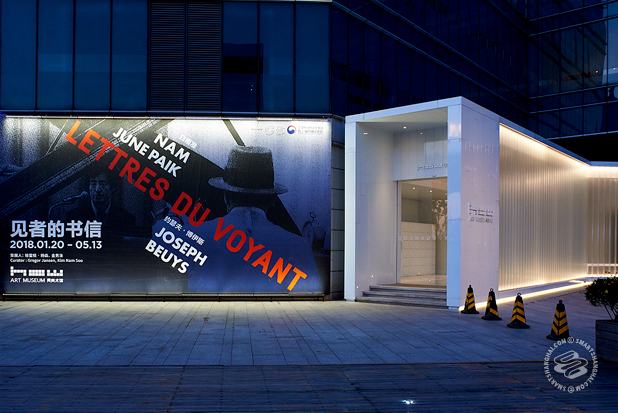 Dubbed Shanghai's first "night museum", HOW just finished its debut exhibition — 'Manifesto': Julian Rosefeldt - Works 2005 - 2017 — a few days ago, so we couldn't manage to get a shot from the inside as they were preparing for the next show, Lettres du Voyant - Joseph Beuys X Nam June Paik, opening on January 20. 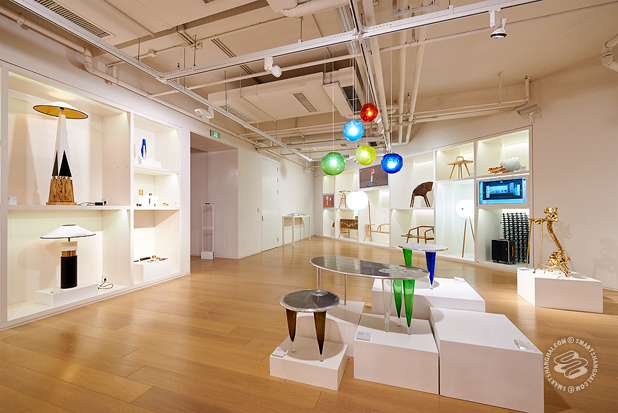 You can, however, get an idea of this institution's aesthetic motivations via the huge gift shop and showroom, which features works and merchandise from contemporary artists in China and worldwide: Piet Mondrian to Zaha Hadid to Xuzhen. 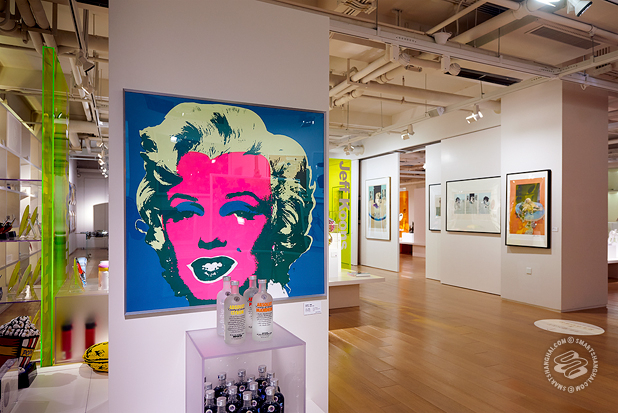 This is Shanghai after all, so they've also got designer brands on the block from MotoArt, Seletti, Fulton, and more. HOW is an approximately 7,000 square-meter venue, adjacent to five-star art hotel, ONEhome Art Hotel. It offers three floors, replete with lux cafe and restaurant. In terms of general commercial orientation, the enterprise is catering to younger audiences and dealing in contemporary art collections, in a similar vein to Yuz Museum. 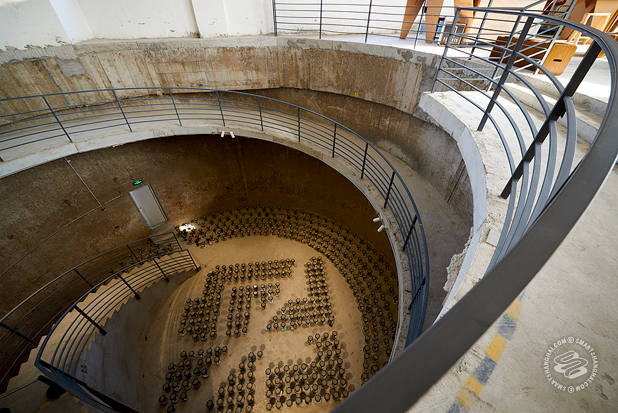 Its predecessor, the HOW Art Museum in Wenzhou has been operating since 2013. Expect talked-about exhibitions in the contemporary arts from the space; details on the January 20 Joseph Beuys X Nam June Paik show, right here. Ticket price: Free until January 15. Variously priced according to exhibition. 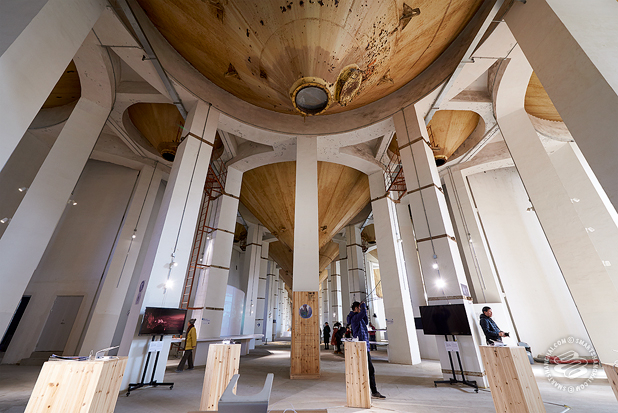 Not just the best name for a museum ever, the venue really is an 80,000-ton silo — formerly the largest in all of Asia — recently converted into a museum space. 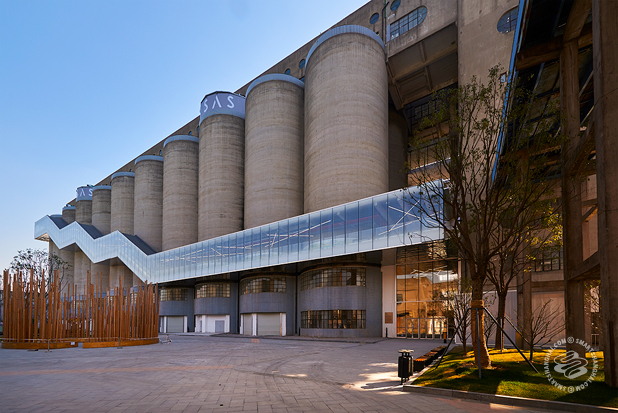 Located beside the century-old Mingsheng pier, look past the dusty construction sites, wrecked concrete ground and towering cranes, it's as enormous as you'd imagine: an 8-story building composed of 30 silos, surrounded by open spaces and warehouses. 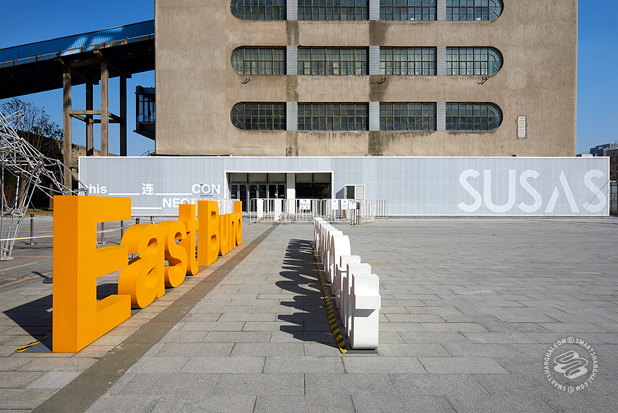 The lead architect Liu Yichun also helped design the Long Museum in West Bund. A key motivation, of course, was to preserve the industrial look and rawness of the structure, while at the same time making it look youthful and cutting edge. Basically, they Berghain-ed it. 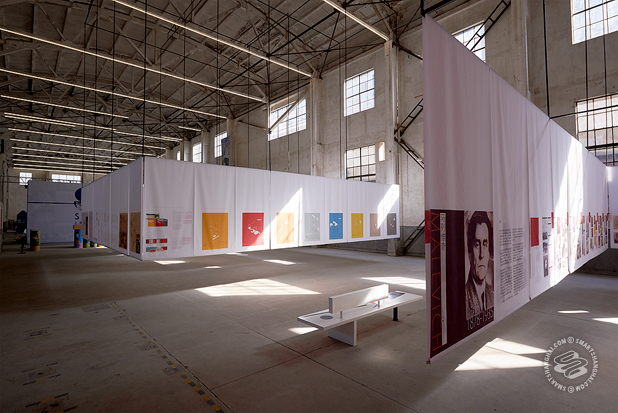 Each floor is divided into different sizes of space, used as exhibition areas, galleries, and projections rooms. The second and eighth floor can only be accessed by stairs, walking up and down, in and out. It's vast and mesmerizing. It's a long trip out to — saying it again — "The Silo of 80,000 Tons" — but they're offering a lot for your time. You could easily spend an hour or two here exploring just the structure itself, if urban design is your thing. Plenty of coffee vendors and pristine toilets too. 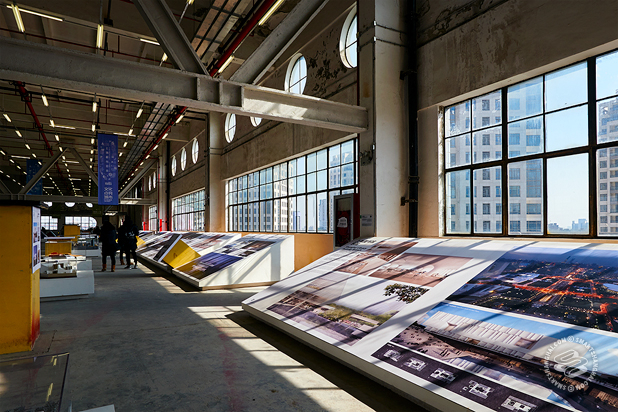 Currently, they're showing the main exhibition of the on-going Shanghai Urban Space Art Season (SUSAS), a multi-venue joint show dealing with changing urban spaces hosted by several Shanghai art destinations. (More info on that here.) That closes on January 15. Next exhibition is TBA. Keep tabs on the SmSh Arts Calendar for when that gets released.